Cherry trees produce fruit three to seven years after planting. Healthy trees will create clusters of blossoms followed by quality fruit. Diseased or weak trees will perform poorly. Several diseases cause cherry trees not to bloom. Black knot affects branches, twigs and fruit spurs, eventually causing the wood to break off and the tree to die. A fungal disease called silver leaf mainly affects the foliage, but toxins can also kill branches or the entire tree. Brown rot fungus infects blossoms and fruit, causing the fruit to rot. It affects sweet cherry more harshly than sour cherry. Black cherry aphids cause cherry tree leaves to twist, stunt or curl. The insects secrete honeydew, which drips onto the blossoms and fruit and eventually becomes a black fungus. Borers create tunnels that interfere with nutrients and water within the cherry tree, which can affect the blooming period. San Jose scale generally affects the tree's leaves but also causes specks to appear on the fruit. It eventually kills branches. 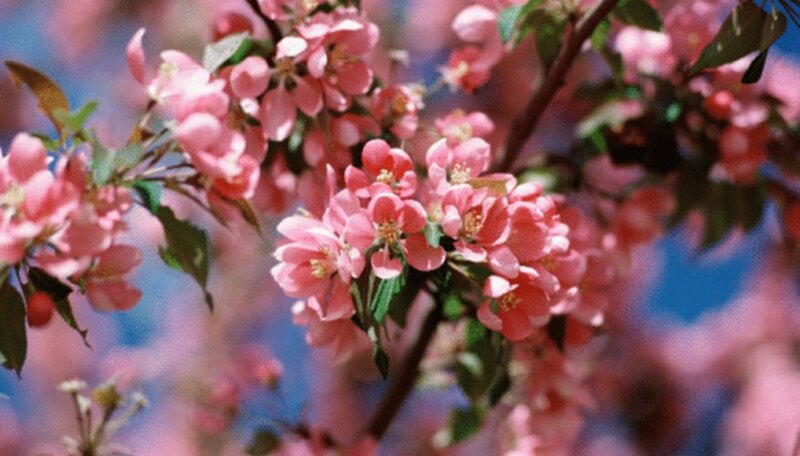 Blossoms and fruit buds may die in extremely cold winters. While sour cherry trees can handle the cold, sweet cherry trees are prone to damage until they enter dormancy. Extended periods of warm weather during winter can cause cherry trees to lose their ability to handle the cold.